HOA Communications with Homeowners: Methods of Delivery? Asked – Is it true that the law requires an Association to send notifications and communications to the homeowners via USPS only? Answered – No. 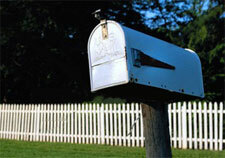 An Association’s governing documents may require that certain types of communications with homeowners be sent via USPS. However, in the event that no such requirements are contained in an Association’s governing documents, the California Civil Code may still require USPS for certain communications. One example would be a Notice of Lien, where an “[A]ssociation must notify the owner by certified mail.” Civil Code § 1367.1(a). However, the homeowner can also consent to receive certain communications by other means besides USPS, such as electronic mail. An example is the Association’s Annual Update of Reserve Study, which may be delivered by “E-Mail, facsimile, or other electronic means, if the recipient has agreed to that method of delivery.” Civil Code §§ 1350.7(b)(3), 1363.005. Be sure to review your Association’s governing documents to determine what provisions, if any, govern how notifications and communications are made between the Association and the homeowners. If the governing documents seem to be ambiguous, consult your Association’s legal counsel.